The Pounce brand line produces crunchy and moist treats for cats. It was previously manufactured by Del Monte but is now under Big Heart Pet Brands (which was acquired by J.M. Smucker Company in 2015, so the manufacturer name may change in the future). 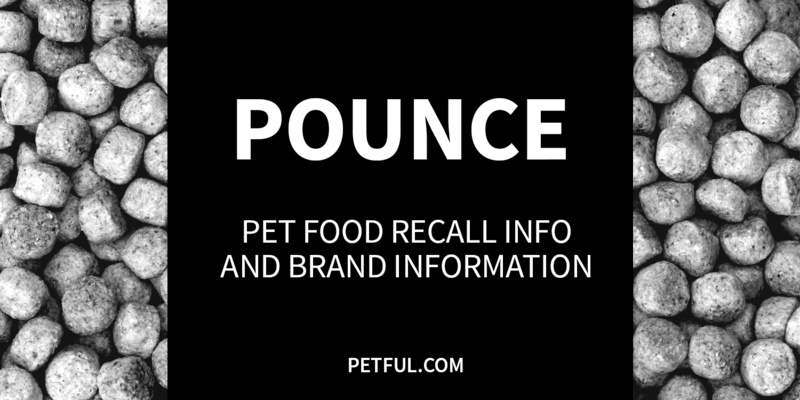 Has Pounce Ever Been Recalled? Yes. One treat line was recalled in 2007 because of potential melamine contamination (melamine is not approved for use in food). Cause: Potential for melamine. Announcement: Archived report dated April 6, 2007. What was recalled: Pounce Meaty Morsels Moist Chicken Flavor Cat Treats, unspecified packaging and weight, with a Best By date of Sept. 9, 2008. Have You Had a Problem With Pounce Cat Treats?